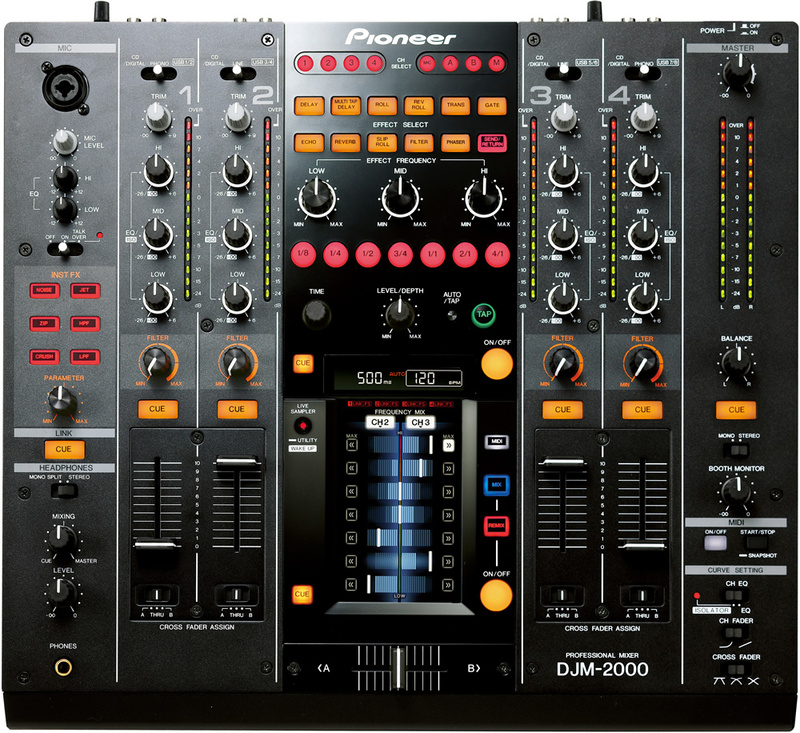 Pioneer DJM 2000 firmware update to version 3 – nearly a Nexus! This article details the benefits of updating the firmware on a Pioneer DJM 2000. It’ll also explain the differences between a DJM 2000 running the latest firmware, and a DJM 2000 Nexus. It should be useful if you are trying to decide whether to buy a DJM 2000 or a DJM 2000 Nexus, or if you already have a DJM 2000 and want to better understand the benefits of upgrading the firmware. I recently acquired a DJM 2000 running version firmware 1.27. It’s about 5 years old, but in good condition. Still a very nifty piece of kit. My last mixer was a DJM 500 and the game has really moved on. From a purely non-musical perspective, consider that it has a touch screen and 6 network ports! So a four channel DJ mixer. It can support turntables on two of the channels, and all channels support analogue and digital line in. It can perform the duties of a network hub between up to four CDJ devices, and even connect to two computers for seamless transitioning between DJs at a live event. It has a send/return loop and a midi interface. There’s a huge amount of potential with all this, which I won’t go into now, but suffice to say this hardware is ready to combine traditional live DJ duties with more creative musical experiences normally restricted to audio studios. From the top view then, this is more or less a traditional four channel mixer with an effects unit shoved in between channels 2 and 3 above the cross fader. So what does that touch screen do? Yes – chop two tracks together in seven chunks of the audio spectrum. Easy high-hat or kick drum swapping right there. Use one finger to quickly control the base frequency and oscillation period of any of the built in effects. See my guide on updating the DJM 2000 firmware. If your DJM 2000 is still running version 1.x, you’re in for quite an upgrade! Beat Slicer – a brilliant tool that allows the DJ to sample and remix on the fly. Great for creatives. 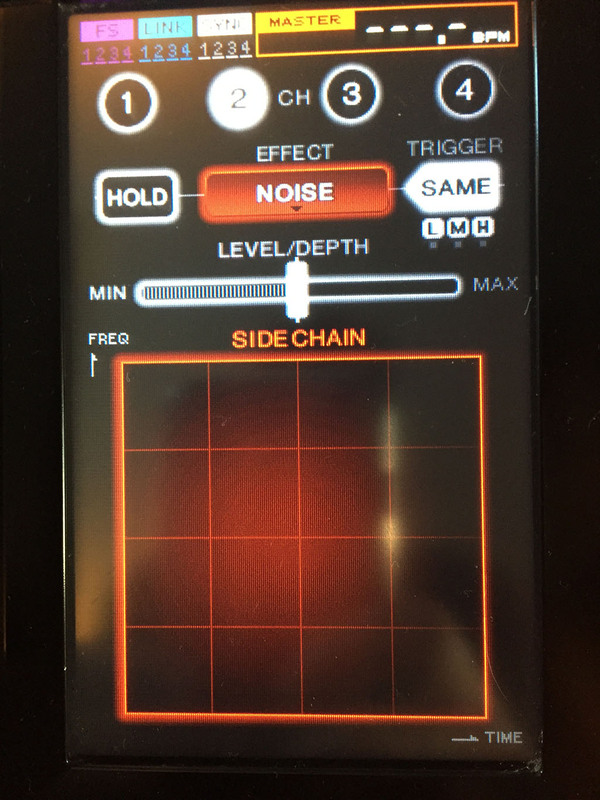 Improved side-chain effect – add a whole bunch of filters to the built-in side-chain and control these with a single finger on the touch screen. I saw a good example of this in use where the gate effect was triggered by the existing (old) track, and applied to the incoming (new) track. This fade in effect sounds great! Auto Standby – turns itself off after 4 hours of inactivity. 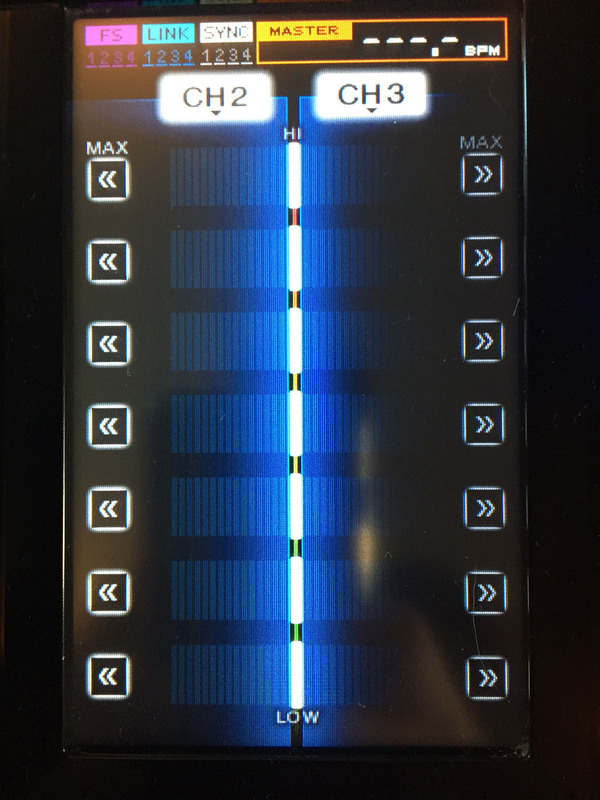 Quantize effects – if you’re using Rekordbox, the mixer can use the BPM information to ensure that all the effects (including the awesome beat-slicer!) are locked in time with the underlying track. Sync master – using the DJ link, the DJM 2000 can optionally enforce exact BPM matching between any or all CDJ 2000 NXS players. What’s better about the Nexus? All statements from here onwards assume we are comparing a DJM 2000 with firmware version 3.20 with a DJM 2000 Nexus running the same firmware. So far as I can tell, there are no feature differences. That makes sense, right? The differences must all be in the hardware. The are some cosmetic changes. The three Effect Frequency potentiometers in the middle of the mixer have silver knobs on the Nexus. The row of beat selectors beneath them are lit by white LEDs on the Nexus (red on the Mk1). Meh. In functional terms, the Nexus sports Pioneer’s “P-Lock” fader caps which cannot be easily removed and therefore are more likely to stay in place during enthusiastic use. Whether or not the Nexus also has the more durable fader assembly that sits at 90 degrees to the surface of the mixer so as to be less prone to damage due to spills and dust, I don’t know. Either way for studio use, neither of these advantages concern me. The Nexus also has higher quality digital converters on its output stages. The Nexus has a 32 bit D/A converter. I can’t find that specification for the Mk1 so perhaps it is only 24 bit. Both sample at 96 kHz, have <0.004% distortion and have a 107 dB signal to noise ratio. I’m entirely satisfied with my acquisition of a DJM 2000 Mk1 now that I’ve upgraded it to firmware version 3.20. The hardware improvements that come with the Nexus are mainly cosmetic, with only the improved D/A converter being something I might like – but that’s on a theoretical level; I can’t fault the sound as it stands. I don’t have any CDJ players yet. The Sync Master feature suggests that if I do acquire some, I’m going to want to dig deep and get the CDJ 2000 Nexus players. The whole topic of whether features like Sync Master and Quantise actually take the talent out of DJing is an interesting one. I can beat match. I’ve got a load of music on vinyl and I enjoy using my Technics. However I’m keen to focus on creating new blends and cuts. The longer I have to spend on the technicalities of beat matching, the less time and therefore enjoyment I’m going to derive from the more creative side of things. That’s my excuse for now, anyway! Brilliant review of this mixer! I have one myself, and as an old skool vinyl / beatmatching DJ, I too will be digging deep soon and buying CDJ 2000s! If you enjoyed this article, why not subscribe to updates?